The community of Yuendumu in the Northern Territory is situated 300 kilometres northwest of Alice Springs on the Tanami Track. The community is located within the Yuendumu Aboriginal Lands Trust area that includes numerous outstations and stretches over 22,000 square kilometres. Originally this community was a government settlement for Warlpiri people, and today, the residents are Warlpiri and Anmatyerr speakers. 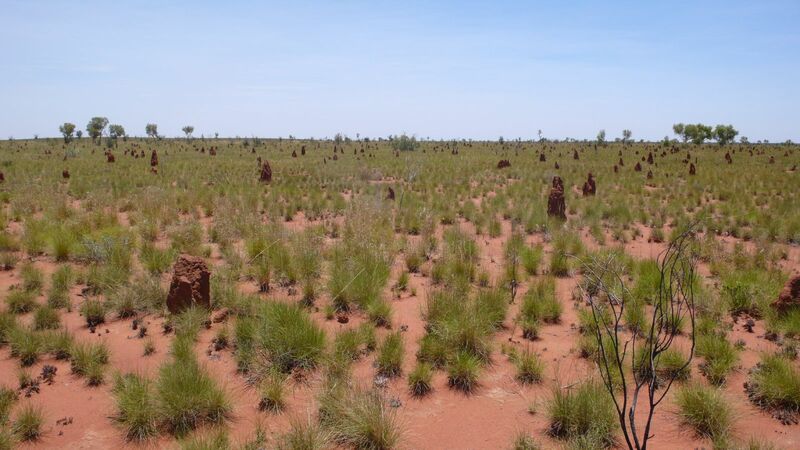 It is a desert landscape typified by the red dusty ground punctuated by spinifex, waterholes and fertile grasslands. Yuendumu is on the southeast border of traditionally owned Warlpiri land. In Yuendumu the two main languages are Warlpiri and Anmatyerre. There are two languages spoken by the Warlpiri people; Warrmarla, is spoken in the hill country, and Warnayaka is spoken in the spinifex and desert country. There are also a number of people from the Pintupi language group living at Yuendumu. 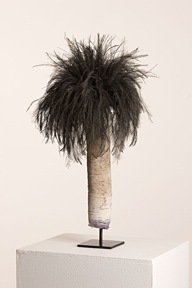 The art of Yuendumu developed slowly in the early 1980s. 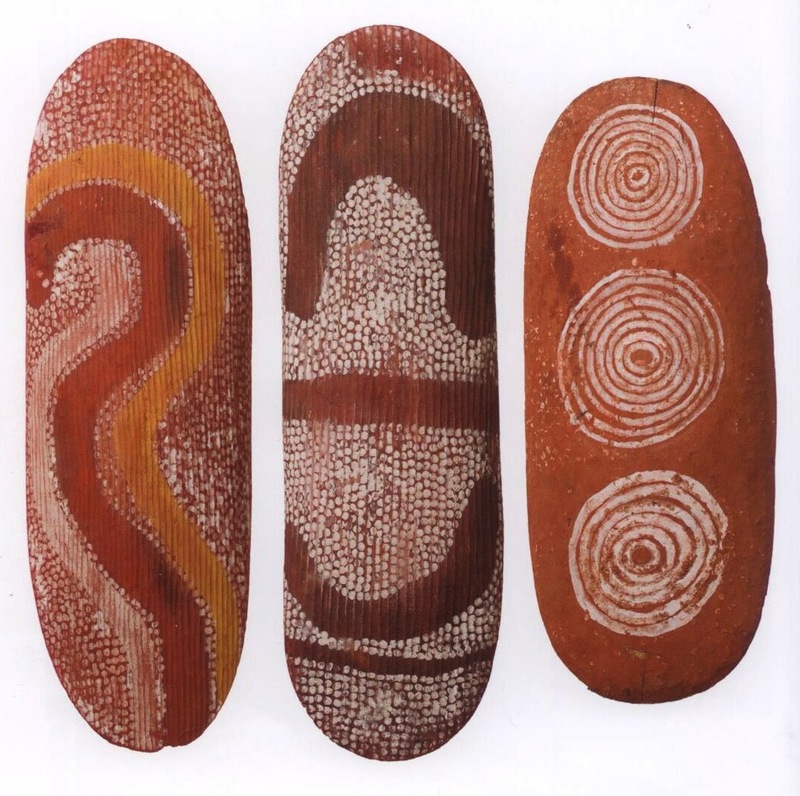 In 1983, anthropologists Francoise Dussart and Meredith Morris – who had undertaken research on women’s body paint in the early 1980s – encouraged senior Walpiri women to decorate small artefacts and canvas boards. Their success inspired several senior male elders to paint their ceremonial designs.5 In this sense, in contrast to Papunya, women were an integral part of the revelation of jukurrpa. The Yuendumu Doors are now world renown and were acquired by the South Australian Museum in 1995. They were restored and twelve selected for a travelling exhibition that toured Australia and internationally. The Yuendumu style is in contrast to the ochre colours and dots of the Papunya movement. The Yuendumu style is characterised by bright colours – yellows, reds, greens and blues – and a gestural freedom. An old Blue-tongue Lizard man (Lungkarda), lived with his two sons on a hill to the southwest of Yuendumu. One day, the old man’s sons hunted and killed a kangaroo, but did not return to the camp and instead greedily ate it all. Lungkarda decided to punish his two sons. The next time the two sons went hunting he took up a fire-stick and ignited the bushes that exploded into flames. The flames flicked over the landscape, in the same manner that the tongue of the blue-tongue lizard flicks. The bushfire chased the sons for many kilometres, and the two sons eventually died of exhaustion.7 The site of this great fire is Warlukurlangu (or Warlugulong) from which the arts centre takes its name.